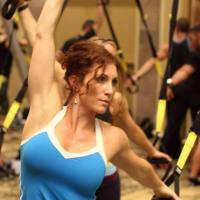 MBS Fitness Studio is the only Premier licensed TRX facility in Tuolumne County. Our studio offers the highest quality of functional training available. Each class is designed to accommodate all fitness levels. Members of all age and abilities, work side by side in a supportive, fun, non-competitive and nurturing environment. Our classes are designed to bring balance, stability,and strength, using functional movement. Each class incorporates the balancing of Mind, Body and Spirit. We offer TRX, TRX fusion, Spin, Yoga and weight ​classes. We are here to help you achieve your fitness goals. Our mission is to serve the greater good so that all those who step through the doors of MBS are blessd with a higher quality of life. ​​​​​​​Give yourself the gift of learning to be healthy and balanced in your Mind, Body and Soul. We invite you to visit our facility and experience all we have to offer. We hope to see you soon.